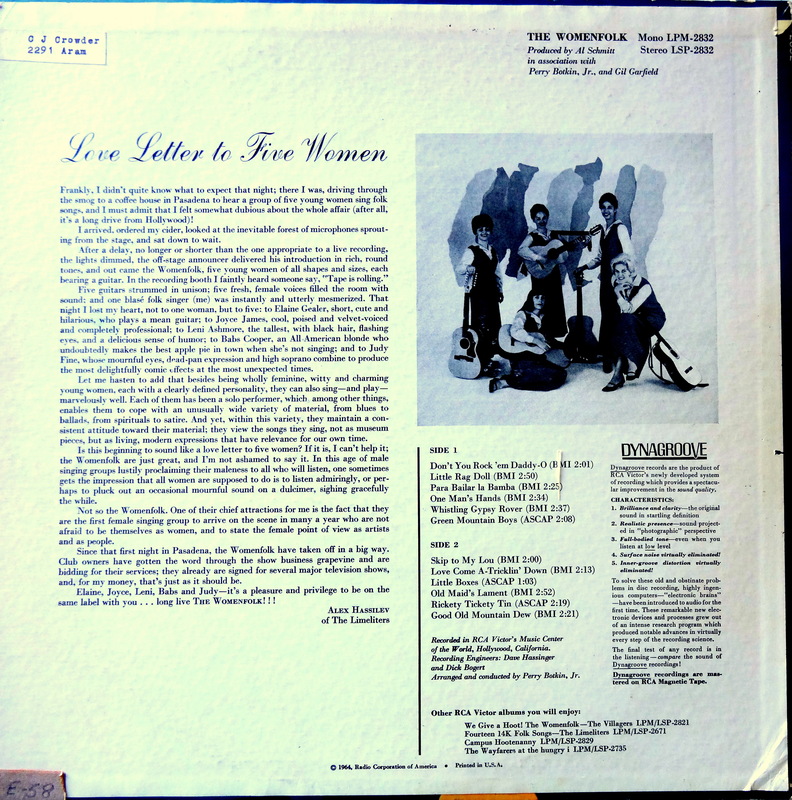 It has been too long since The Bad Album Cover Hall of Fame got some some love, and what better way to remedy that than with The Womenfolk’s eponymous 1964 debut in cutting edge Dynagroove. No, The Womenfolk were not characters in Christopher Guest’s A Mighty Wind. 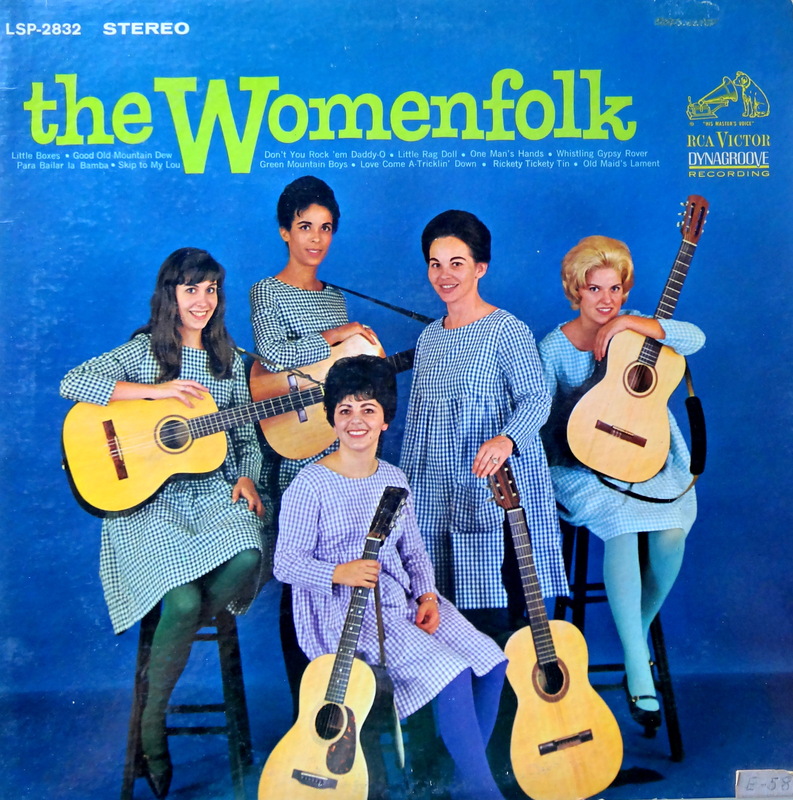 They were part of the same mid-sixties folk revival that brought us Joan Baez, The New Christy Minstrels, and, um, some guys in matching sweaters. Underneath the hair helmets and the Italian restaurant tablecloths they weren’t so bad, I guess. Their claim to fame is that they recorded the shortest song to ever break into Billboard’s Hot 100: “Little Boxes,” which clocks in at exactly one minute. Take that, Ramones! This one should run you about a quarter at a yard sale. Happy hunting. Definitely worthy of the Bad Album Cover Hall of Fame. I’m gonna guess that they were all due in about six months.